Instagram is one of the most exciting photo sharing sites around. It has been around for some time and has many users. It is available for both Android and iOS at this point. In order to have success on Instagram, you are going to have to share a variety of content on it. Sharing beautiful quotes with others is a great idea. InstaQuote helps with that. 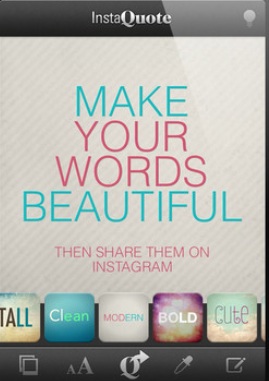 InstaQuote has 19 styles for ho to choose from. You can choose backgrounds from the packs available for this application. Users may also choose their own photos for backgrounds. Photos can be exported to Instagram or your camera roll. The words can be customized as far as their font size, color, alignment, and position / line spacing is concerned. InstaQuote is a useful tool for those of you who are active on Instagram. It saves you time creating beautiful quotes to share on that site. It is highly customizable too. 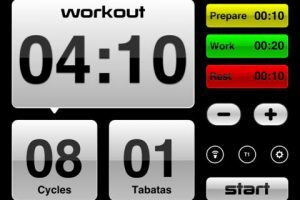 We would love to see a universal version of this app though.